YEAH 4 U! You got Possessions and The Girl In the Steel Corset eGalleys. Can wait to hear more about them. Looks like everyone has Possession in the mailbox. How exciting! And now I feel like the only person who hasn't bought a copy of Anna and the French Kiss. I need to get on that. Ohmigod, I love Jen Echols! Though, I haven't read Forget You, yet. And 13 to Life has these delicious Russians who blind you with their insane hotness... Enjoy, my friend. And you better love ANNA! You must, it's just too wonderful. Have fun in France! And thanks for stopping by earlier! I haven't heard of The Girl In The Steel Corset before, but I love that cover. I requested a galley of Bite Me as well. 13 to Life is on my wishlist, I heard a lot of good things about it as well. Happy reading this week! They all look great. I'm eagerly awaiting the release of Possession. I have it on pre-order. I hope you enjoy them all. Oh and I love the cover of The Girl in the Steel Corset. How gorgeous is that red dress? Can't wait to read Possession! I love the cover of 13 to Life, it looks so creepy. I've been hearing a lot of good things about Anna and the Frech Kiss. Great books! I couldn't decide if I wanted Bite Me or not. Might wait on it for awhile! You're right! We both have Forget You this week! 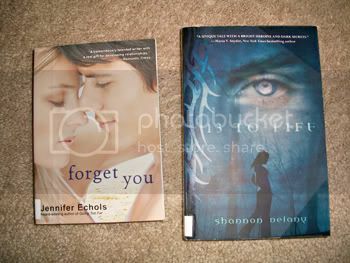 My library doesn't have any Jennifer Echols books which is weird. Great books this week! Great stuff this week! Anna & the French Kiss is such an amazing book. And of course I'm jealous that you got Possession! Forget You is seriously amazing! I love Jennifer Echols! Great books! Forget you was so good. Hope you enjoy your books! Great books! I love it when people get Anna and the FK. 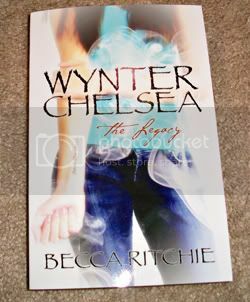 Wynter Chelsea has an interesting title and cover. You must read ANNA like...NOW! Great haul! Awesome books this week! I love Jennifer Echols. The Girl in the Steel Corset looks really good. the girl in the steel corset looks so awesome!! enjoy! Thanks for visiting my In My M ailbox. Here returning the lovely favour. You got some really great books this week and I'm totally jealous. "Bite Me byParker Blue" and "Possession by Elana Johnson" look stunning. Such a wonderful list of books I also will be reading The Girl In The Steel Corset galley! 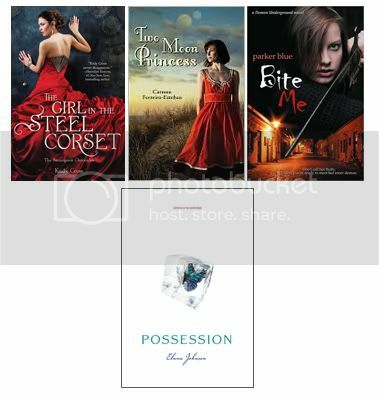 I so want to read The Girl in the Steel Corset and Anna & The French Kiss - lucky, lucky!!! Forget You and 13 to Life are both on my to-read list, along with Anna and the French Kiss, which I've heard SO many great things about! I hope you enjoy these and the rest of your books. Have a great week! Great books this week.You'll love Anna! I really want to read Anna and The French Kiss! I can't wait to see your review on it! You got some great books this week, isn't Netgalley the best thing ever?!!! Thanks for checking out my IMM!~ I'm following you now so see you next week! I desperatly need to read Forget You and 13 to life. Can't wait to hear your thoughts on them! Forget You is amazing so I hope you enjoy it. Happy reading! Great books! I really want to get my hands on Possession! Possession sounds pretty amazing. I'll have to see if I can find a copy soon. I see you're reading Harry Potter and the Order of the Phoenix! I hope you're enjoying it. It's definitely one of the darker of the series but gives you a lot of insight into Harry. So many awesome reads this week. The Girl in the Steel Corset is on my TBR list. I love the cover. Enjoy all of your wonderful goodies. Jennifer Echols is the best. I love her books. I have Forget You on my shelf just waiting to be read. I'm super excited for Anna and the French Kiss. It was on my wish list, but I couldn't wait any longer and just decided to get it. It will probably be a few weeks until I get to it, but just knowing that I have it, and on my nook, makes me happy. I hope it makes you happy too! I've been hearing some amazing things about Anna and the French Kiss! Oooo! You got some good galleys too! The Girl in the Steel Corset looks pretty good and the cover of Possession is so pretty it's hard to not want to read it. Wynter Chelsea Looks interesting. I'll have to go take a look at it. Those are some great books! I'm especially looking forward to Possession! Thanks for visiting my blog! Great books. I'm especially interested in Possession. I need to go get Anna and the French Kiss soon, I don't know why I keep putting it off. Anna and the French Kiss and Forget You are AMAZING! all your galleys look fabulous - happy reading! Wow great books this week! I loved Forget You and Anna and the French Kiss and I really want to read The Girl in the Steel Corset. Can't wait to see your thoughts on all of these! I'll prob check out The Girl in the Steel Corset just b/c the title gets me. Good title! I never heard of Two Moon Princess before; it sounds interesting! I just bookmarked it on Goodreads. You have WONDERFUL taste in books! :) Forget You and 13 to Life are amazing!! Anna was great too. Hope you enjoy all the great reads! Lots of great stuff! I can't wait to hear how Girl in the Steel Corset is! It sounds amazing! I just ordered a copy of Anna and the French Kiss---both my daughter and my best friend loved it! You've got a whole load of books! Lucky. The Girl in the Steel Corset has a amazing title. And then I find its the start of a series called the Steampunk Chronicles? Epic wants. Those are some awesome books! Thanks a lot for stopping by and following me. New follower here and I already love your blog.Amazing IMM. You've managed to bag great reads this week.Hope you enjoy them all. I love all books by Jennifer Echols and eager to read what you think of Bite Me. Great mailbox! I loved Possession and Anna and The French Kiss and hope you enjoy them as much as I did. I recently broke down and got Anna too! It was basically as amazing as everyone says -- I hope you enjoy it! 13 to Life and Possession are on my to-read list! Great In My Mailbox! Thanks everyone for stopping by!! @Jessica- I'm down in Chattanooga! I love Pigeon Forge! I definitely need to read some Jennifer Echols sometime soon. Everyone seems to really like her! Oooooh 'Anna' -- definitely one of my favourite reads of the last several years. Thanks, Christy, for stopping by my blog. 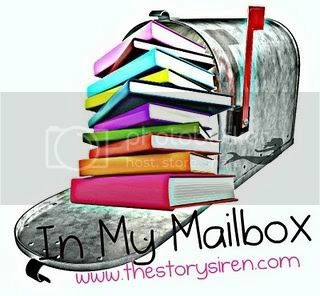 Your mailbox looks great. I have heard alot about Forget You, and Anna & the FK, but I haven't read them. Hope you enjoy your books.